I have always been fascinated by drawing or painting portraits and enjoy the challenge of trying to capture the uniqueness of the individual on my canvas. I am also inspired by nature and am passionate about animals. I am in awe of the beauty that surrounds me everyday and strive to capture nature and her subjects on my canvas whether it is a portrait, landscape, still life or animal. It is in the peacefulness of my studio where I grow the most as an artist. It is here where I face my blank canvas, struggle to overcome many challenges, have the courage to take risks, solve many problems and learn from my mistakes. I paint in oils and my work is representational with a painterly feel. I am intrigued by colour and strive to translate the turning of form by using tiles of colour and colour temperature. I have painted portraits for private individuals, corporate companies and for television. I give workshops on portraiture to artists in my studio in Noordhoek. On occasion I have invited top American artists to give workshops in my studio. I have done a demonstration on the sight-size method for the South African Artist Magazine. One of my most special occasions was when I painted the portrait of Archbishop Tutu. Painting the portrait of Helen Zille, currently the Premier of the Western Cape, was also very memorable. I am a member of the Portrait Society of America and travelled three times to America to learn from the world’s most influential artists. In 2006 the Portrait Society of America awarded me a tuition scholarship. I have had many solo and group exhibitions. Solo exhibitions have been at the Lanzerac Hotel in Stellenbosch, Longbeach Mall Art Gallery in Noordhoek, Lindbergh Arts Foundation in Muizenberg, Vanilla Canvas Galleries in Wynberg and group exhibitions with the South African Society of Artists at Kirstenbosch, with the Original Cape Art Group at Kirstenbosch, Lindbergh Arts Foundation in Muizenberg, Constantia Art Society at Kirstenbosch and with the Professional Cape Artists at Kirstenbosch. I have had many portrait commissions from all over the world, including Germany, UK, New Zealand and South Africa. Artists who have inspired me, and who have paved the way for many of us, are Nelson Shanks, John Singer Sargent, Anders Zorn, Joaquin Sorolla, Antonio Mancini, Ilya Repin and Nicolai Fechin to name a few. “I find delight and joy in the privilege of viewing the world with a painter’s eye”. 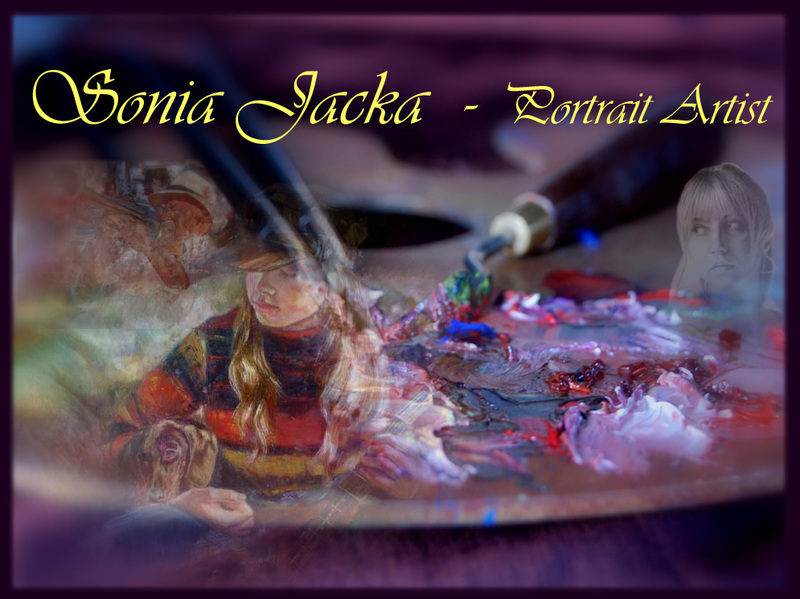 Sonja Jacka - Portrait Artist based in Noordhoek, Cape Town.